The Motor Trend Car of the Year. Some would say that it is one of the most prestigious awards an automotive manufacturer can win. At least it seems like that by the way manufacturers go on and on about it in their ads. So they idea that you could actually own 1 or 6 or 8 of them for $30k is pretty remarkable. That's because like Pet Rocks and Trans Fats a lot of these cars don't have much appeal after a first encounter. It really makes you question what these Motor Trend editors are basing their awards on. 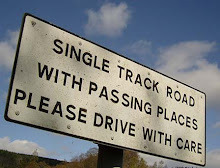 Or, it is a true reflection of the sad state of American Motoring Affairs for a huge part of the last century. The upside, though. Drop this line on someone who is asking you about your cars, "Oh, I have a focused collection of cars. I keep it to the winners of the Motor Trend car of the year. You see, I am easily satisfied by the best." 1993 Ford Probe GT. How can you only get 140HP from a 2.2L intercooled and turbocharged engine? Sure the Ford engineers eeked out 190ft. lbs of torque. 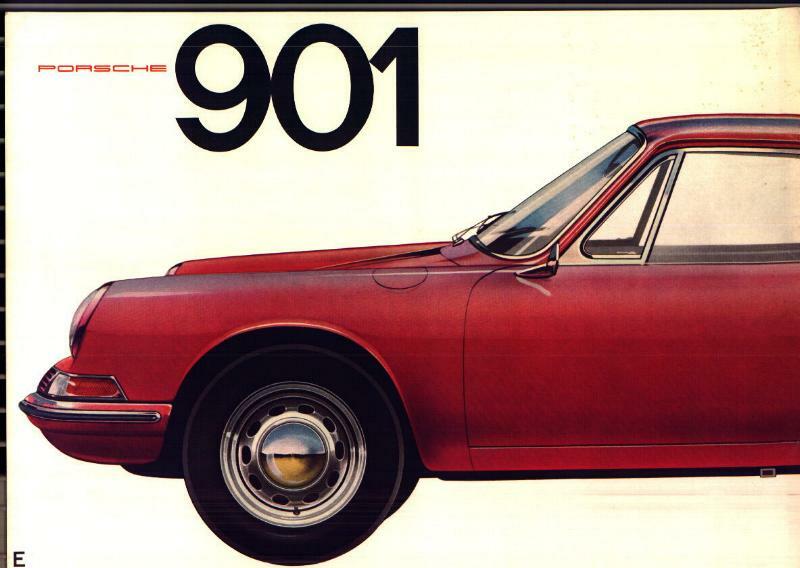 Maybe that was the timidness of the Mazda end of the joint partnership that developed this lozenge of a car. The automatic adjusting suspension though was a bright spot. A computer actively checked the system and when speeds or load demanded the shocks could be changed to one of three positions of firmness. Quite a feat on a nonluxury car. Slide one into your garage for $1,500. 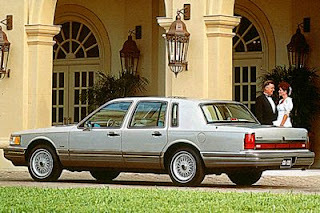 1990 Lincoln Town Car. The 302 Windsor engine soldiered on powering this car loved by the successful plumber. 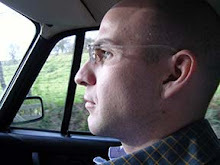 And taxi drivers. A new air-ride suspension made the floaty ride even floatier. You can pick up a decent one for about $2,000. 1985 GTI. One of the few fun to drive cars that ever won this "award" sneaks in because it was built at the VW plant in Pennsylvania. But, I'll take it. 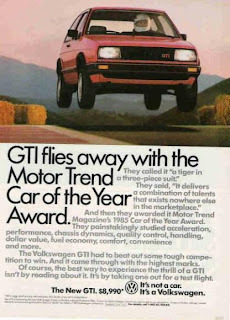 1985 saw the GTI get a bump up to 120HP. Wide wheels, for the time. And no power steering made it a pure drivers car. Blacked out trim was trendy than but still looks good now. The older I get the more I want one. And it will only take $3K for a good one. 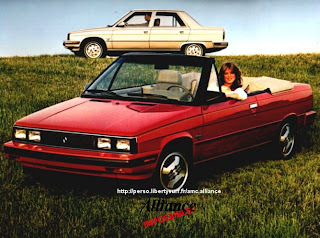 1982 Renault Alliance. Renault and AMC managed to shift over 150,000 thousand of these things yet you can rarely spot one on the road. Longevity not being a strong suit of chassis. The engines were unstressed at under 100HP for most variations. Try to find a convertible for a modicum of style. A show winner is yours for $2,500. 1977 Caprice. Boo yah Motor Trend. Chevy downsizes the car, gives it less power and you reward it with the Car of the Year award. Nice work. A V8 is now optional, not standard. But cut-off short wearing, Andy Gibb listening Americans ate it up to the tune of 500,000 units a year for a few years. Interesting note, you could get a diesel V8 for a few years. Now most often seen running dubs and heavy metal flake paint. A nice stock example owned by the proverbial "grandmother" should be had for $2,500. 1974 Mustang II. Good god. Lee Iacocca had a hit with the K car but these 'stangs are an embarrassment to the bred. Even the ads talk about a standard transmission as an economical option, not a performance one. The fact that Ghia was even remotely involved in this project is like finding out that Bergman was the behind the scenes director of Gidget goes to the Beach. But, if you always wanted a Mach I but didn't think you could afford one, you're wrong. 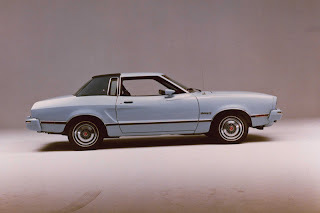 Get a Mach I Mustang II with a V6, knock off 0-16 in 13 seconds all day long and be happy the horror only cost you about $3,500. Phew, you've dropped $15,000 on a six car collection. Now is the time to get one car that will make you smile everyday in this collection. One that will appreciate. One that won't cause convulsive laughter when you tell people it won an award. 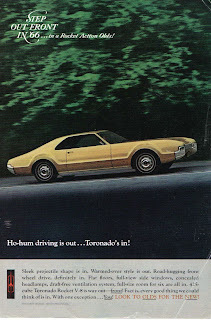 1966 Oldsmobile Toronado. This is a car that deserved Car of the Year honors. And it is no surprise as the design was selected from a single auto painting by David North. You start pure and you end up pure. You start by committee and you end up with crap. And the list of firsts the Toronado brought out were significant. The TH400 transmission. The quadrajet carb. Front wheel drive, last seen in American on a Cord. A subframe design. Huge engines and a restraint of badging. It may have had 375HP under the hood but it didn't shout it. Too bad such innovative Detroit cars came out but once every fifty years. Grab one now for $15,000. It will be worth much more in the future.